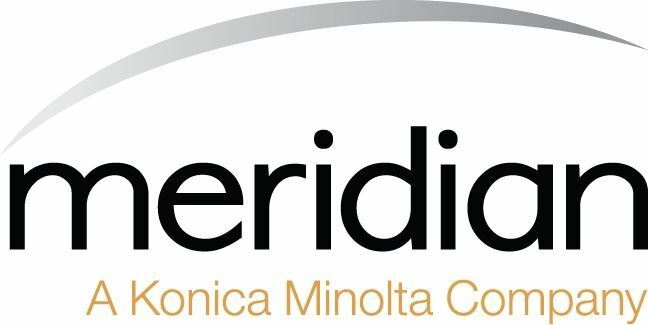 Meridian is a Multiple Award Schedule GSA Contract Holder. Our contract is awarded under the FSC Group 36, IV Office, Imaging, and Document Solution schedule, and includes the categories listed in the table below. You can find us on GSA Advantage! For more information about our special government programs, or to receive a copy of our GSA catalog, please contact gsa@whymeridian.com. Your sensitive data is too valuable to risk. 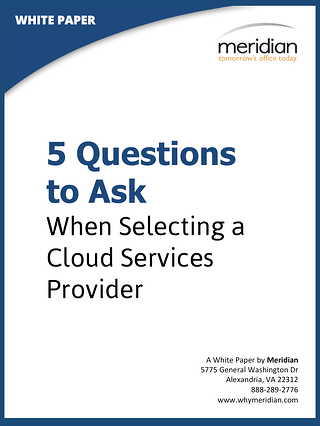 Learn how to find the right cloud services provider for you with our free resource. What considerations should you make before allowing your employees to access company data from personal devices? 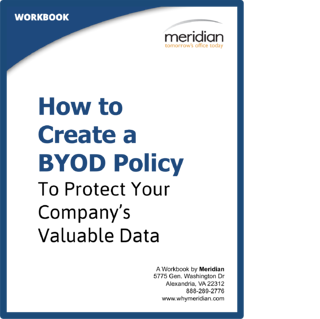 Learn how to protect your company's valuable data in this free workbook.